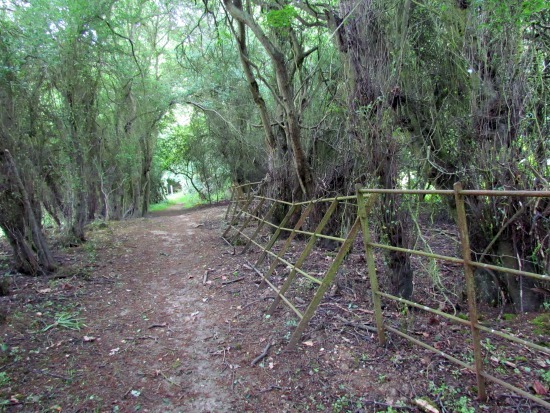 A pleasant circular walk taking in old lanes, footpaths and woodland. 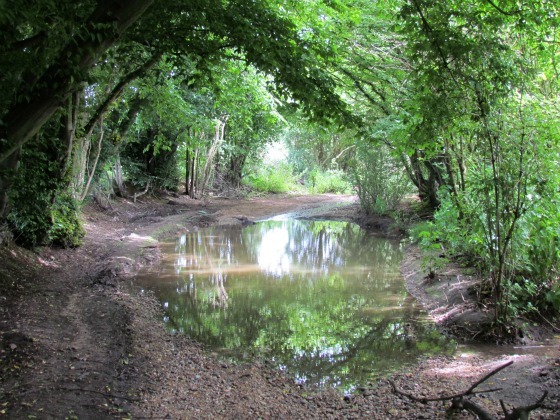 Parts can be muddy at certain times of the year, and there are nettles to deal with on some of the narrow paths. Starts and finishes as The Woodman, Wildhill (Grid ref: TL 26362 06777). Check opening times, particularly on public holidays. Park in The Woodman car park at Wildhill and exit the car park by the metal gate just below and to the south and east of the beer garden. Take the footpath (Hatfield footpath 85) and climb and cross the field diagonally to your right heading for a gap in the hedge. Cross the next field heading south-east to another gate. Keep the woodland on your left and the field on your right and continue walking south and east until you cross the field and cut through the hedgerow to meet Kentish Lane, the B158. Turn left and head north along the right side of Kentish Lane until you reach the bend at the junction with Wildhill Lane. Take this path and head north-east until you reach Hornbeam Lane. Turn right on Hornbeam Lane (Essendon bridleway 18), continue past the stables on your left and follow the lane as it eventually reduces to a track. This bit can be difficult when the nettles are growing so take a stick to push them back. It can also be a bit muddy. Eventually you emerge on Cucumber Lane. Turn sharp left and walk along the lane. It's normally a quiet lane. Continue along until Berkhamsted Lane joins from the right. At this point look out for a footpath on the left (Essendon footpath 16) just beyond a house. Take this footpath as it drops down back towards the B158. Again this can be overgrown with nettles. I have done it in shorts and survived but regretted it. Cross the road and head for a footpath sign directly opposite leading down wooden steps into Panther's Wood. This is a continuation of Essendon footpath 16; this stretch can be muddy after rain. 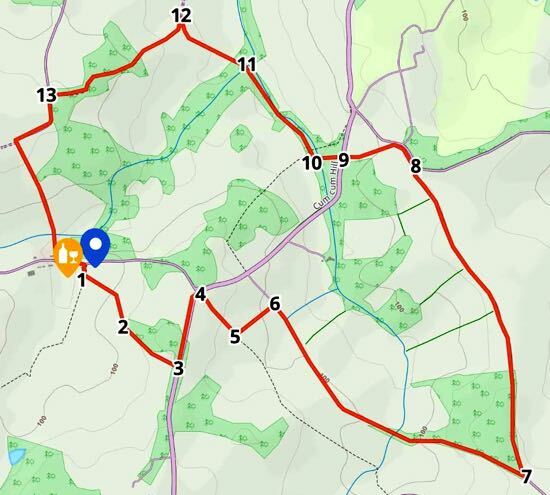 Continue across a small footbridge, and climb the hill with the field on your left and the hedgerow on your right until you meet Essendon BOAT 14 (Byway Open to All Traffic). Turn left on West End Lane and follow this quiet road back down to Wildhill where you turn left on Wildhill Lane and return to The Woodman car park.